SYRACUSE — Maxwelton Golf Club members got a look at their new director of golf during an open house at the course last Thursday. Jacob Von Deylen made his official introduction to Maxwelton members at Thursday’s event, giving the 20-year golf veteran from Defiance, Ohio a chance to meet and greet a packed house at the historic club. 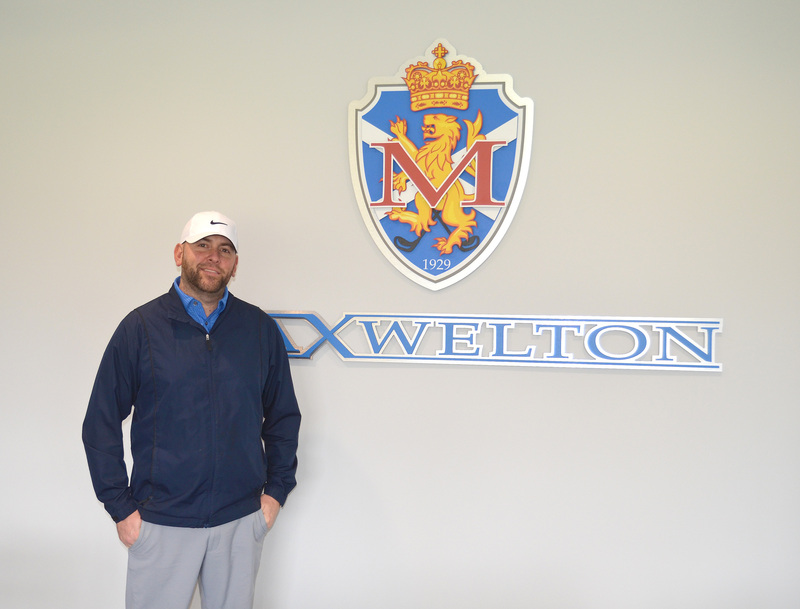 Von Deylen was hired on in December by new club owners Don Gunden, Scott Tuttle, Ryan Thwaits, John Hull and Rodney Lung, becoming the first course pro at Maxwelton since former owner/ pro Bob Carlson passed in March of 2018. Von Deylen respects the foundation that Carlson laid, and he and the club’s new owners are leaving much in place. But, after two decades in the business, Von Deylen also has some ideas of his own, some of which are already being implemented. Under that membership drive — which is designed to entice new blood to the course and to the game of golf in general and began March 1 — current members receive a $100 discount to their fees in exchange for referrals of new members. The goal that’s been set is 50 new members under the age of 50, and so far the response has been good, says Von Deylen. “I know it’s a busy golf course, but I hope we can take care of our members but also increase public play, increase membership, leagues, outings; increase the women’s play; increase the junior play. That’s my goal personally for Maxwelton,” he said. But Von Deylen isn’t all that’s new at Maxwelton. The clubhouse and pro shop have already been given a facelift, there’s a fleet of brand new, state-of-the-art carts, and the restaurant is expanding its menu, too. “We’ve got 60 brand new Yamaha golf carts that are top-of-the-line — USB ports in them, built-in coolers, the whole 9 yards with QuieTech engines. The whole building got a facelift. We’re getting new equipment for the maintenance side of things. Just a lot of updates that have freshened it up and given it more of a livelier feel,” Von Deylen said. Von Deylen offers personal instruction to golfers of all skill levels. Rates are $40 for one 45-minute session or $100 for three 45-minute lessons. You can contact him at the course pro shop at (574) 457-4055. For more info on Maxwelton, go to www.maxweltongolf.com.